I invite you to take some time to disassemble your engine with me. That way we can go over the engine together and you can see first hand what will be needed for the restoration of your engine. The engine block, cylinder head, and crankshaft are checked for cracks or any other issues that may be a problem. The block and cylinder head is then placed in an oven which will bake all oils, and grease from the surface. It is then shot peened perfectly cleaned. 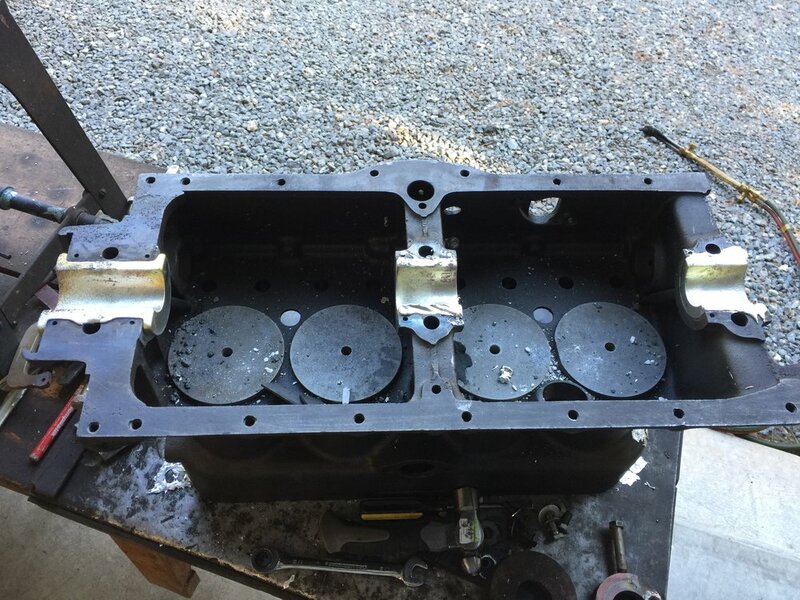 Cylinders will be bored and honed, hardened valve seats installed, block and cylinder head will also be resurfaced. Your crankshaft will be reground as well. New main bearings will be re-poured using Babbitt that is made to original Ford specifications. It will then be align bored and your crankshaft will be fit and ready to install. Once the crankshaft is fit, it will be able to be turned by hand. Every component of your engine is fit and adjusted to your engine. Each engine will be reassembled and run on my test stand before I hand it off to you.